Tapestry, a very ancient and widespread technique of pattern-weaving, was extensively practised in the Byzantine empire. Many examples have been found in Egyptian graves, where they served as wrappings for the dead. 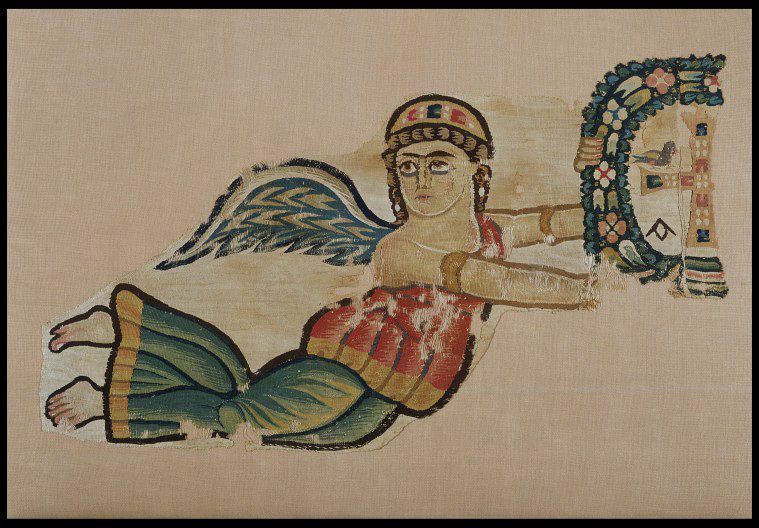 This fragment, which comes from the burial-grounds at Akhmîm in Upper Egypt, was probably part of a curtain originally intended to hang in a doorway or between columns, perhaps at an altar. The jewelled cross symbolising the Christian faith, with alpha and omega for the Almighty and birds representing the souls of the faithful, was framed in a wreath of flowers and borne aloft by a pair of winged victories or angels, crowned with jewelled diadems. 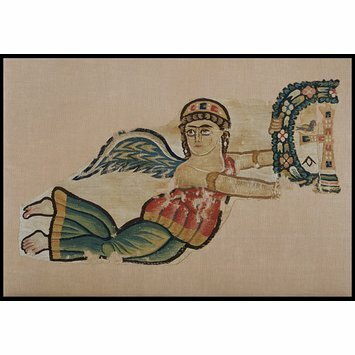 Tapestry woven in coloured wools and undyed linen thread showing the triumphant cross. A flying figure supports a floral wreath which enclosed a jewelled cross having the letters for Alpha and Omega in the lower angles and a dove in each of those above (partly missing). The figure is clad in red green and yellow drapery and wears a jewelled diadem, earrings and armlets. 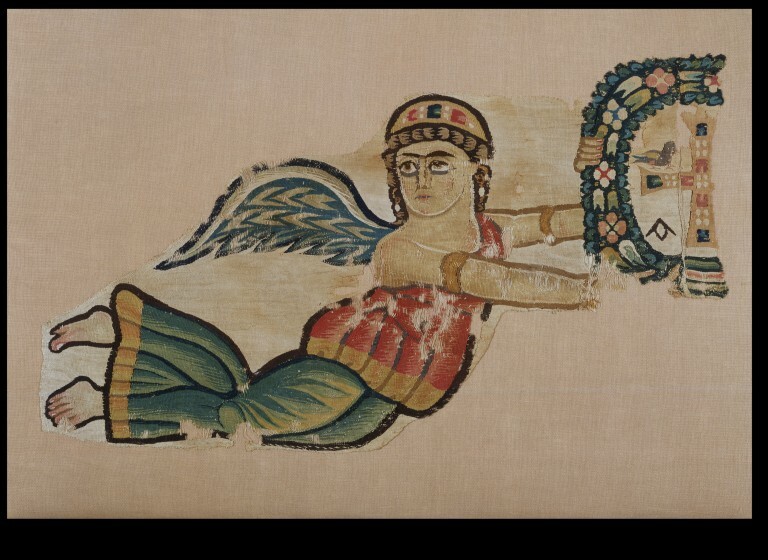 Tapestry woven polychrome wool and undyed linen showing flying figure with floral wreath.